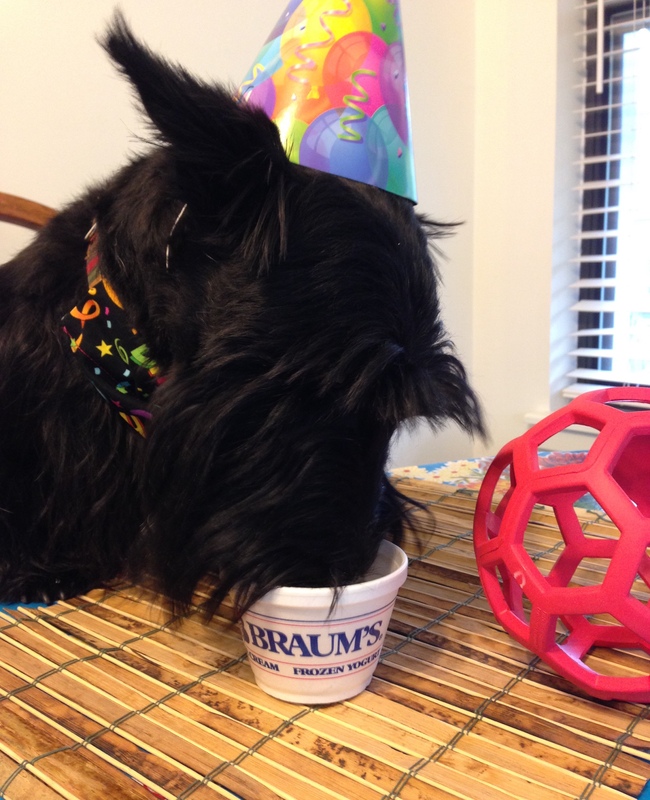 A pup cup and new ball….what more could a fellow ask for? Did you get the email about the robe. Yep. Won & done! Mama and I were at Calloway Gardens with Bronwyn Jennings and her McTavish, so Karen took care of biz. and neither did Angus. I might freeze some and bring it next time we’re your way. Oh Boy, Indy! Ice Cream! We don’t have that kind of ice cream in CA, that we know of, but we bet it’s delish! You look like you are really enjoying it, Indy! Yum-yum, looks good! Are you gonna share your new Birthday Ball with your Sis, Indy? Or do you keep your toys away from your Sister Lucy like Riley closely guards his from Tessie? 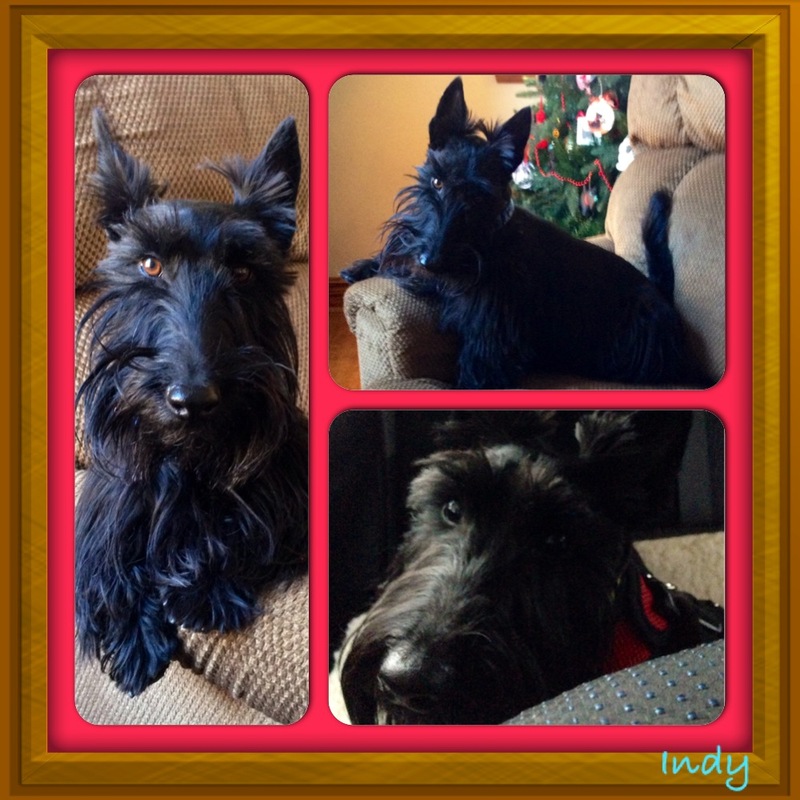 HAPPY, HAPPY, HAPPY, HAPPY, HAPPY BIRTHDAY, SWEET BOY, INDY!! We think you are the cutest ever! Mom is an ice cream nut, but she says that the only flavor worth eating has chocolate in it. She knows that chocolate is bad for dogs. Maybe she will buy us vanilla one day.HAPPY BIRTHDAY again.